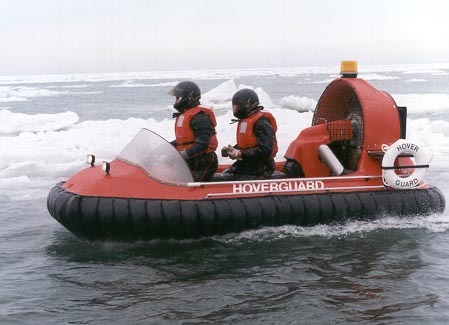 Learn what to consider before buying a rescue hovercraft and explore our models. Read media reports of actual rescue operations. See a partial list of our 1,000+ customers around the world. Flooding: Hovercraft are critical in flooded residential areas where it is nearly impossible to use boats. Underwater obstacles such as fences, fallen trees, submerged walls and vehicles damage boats’ propellers and put them out of action. A hovercraft is completely unaffected by underwater obstacles or debris and can fly over any water depth. 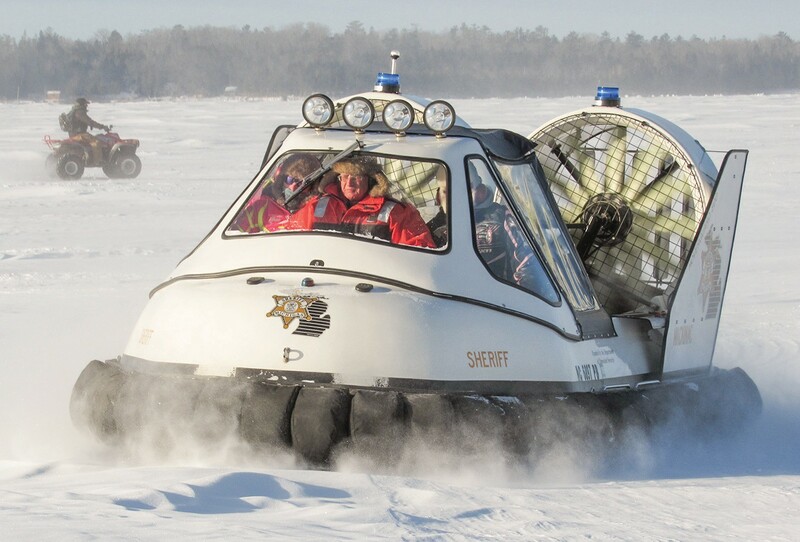 Thin Ice: Hovercraft skim easily over thin or broken ice to pull a drowning victim into the craft and return to safety in just minutes. 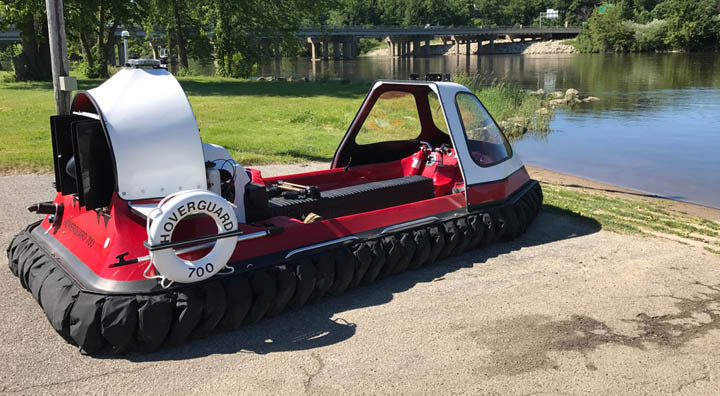 Shallow Water: Hovercraft can be used year-round in rescue and law enforcement operations along coastlines and areas where large boats cannot operate due to shallow water conditions. A hovercraft navigates easily from land to water, over mudflats, marshes, beaches and muddy or sandy shorelines. "Last night we were called to respond with Hover 196 to a neighboring fire district. Our job: to rescue the rescuers. The Lake Shore Fire Department was dispatched to a very large pond/marsh in their district for the report of possible a body in the water. The body ended up being a plastic toy. But during the course of their "rescue" the rescuers needed to be rescued. The boat they were using bottomed out in the mud quite a distance from their launch site causing them to become trapped. The U.S. Coast Guard was requested to assist. But during the course of their attempt, they blew the motor in their boat. This was due to the "terrain" of the pond/marsh. They next tried a canoe, however that canoe capsized making it useless. They finally called for us. Request for information about the Hoverguard 600, 700, 800, 1000 or Training and Maintenance.